A lot of you have asked me to publish some book reviews again. 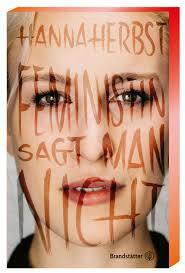 Recently I have read quite a few books for women – biographies, novels, satires and feminist manifestos. Some were more and some less feminist. I decided to start by sharing my top 4 books I think every woman (and man) should read this spring. Enjoy the list! This is definitely one of my favourite books of this year. Before I read it, I was a bit sceptical because the book was really hyped. 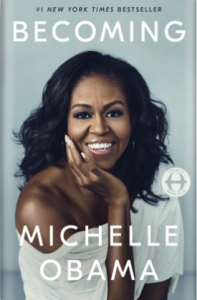 However, I have always found Michelle Obama truly inspiring and wanted to read more about her. I really enjoyed the way the book was written – it is a pleasure to read and the settings, context and and personalities are described in a lively way. In the chapter about Obama’s childhood, for example, I felt as if I knew their house, their neighbourhood, their school and Chicago so well even though I have never been to the city. 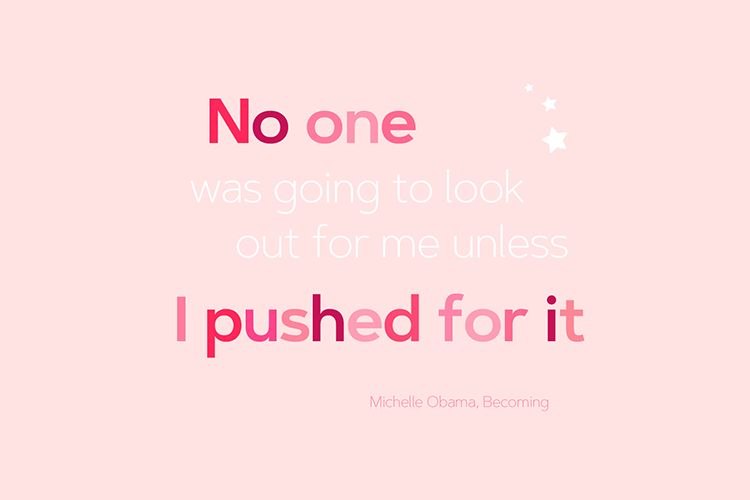 I knew that Michelle Obama was was well ahead in her career when she met Barack. But I only knew little about her career after law. Personally, I enjoyed to read about how she dealt with her career transition from being a high-paid lawyer to working for the public and non-profit sector. I do not want to spoil here, but the motives reminded me of my own career transition. Obama also offers a very private sneak peak into the family’s life during Barack Obama’s terms. While she expresses her personal (political) views, she not only never attacks political opponents but shows appreciation of those who supported them – no matter what is their political background. For example, she describes how Laura Bush showed her around the White House and how she shared her favourite view of the garden. In times of political divide and even hatred, I found it really refreshing to read a balanced view. Nevertheless, Michelle Obama does not shy away from criticising those who attack her and her family or stand for populist values. She openly criticised Donald Trump who spread rumours about Barack’s place of birth and thereby deliberatly putting her family’s safety at risk – a smart move to us a personal instead of a political meta-level. 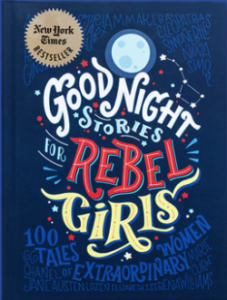 Good Night Stories for Rebel Girls is aimed at young girls (ages 6 and older) but I think this collection of strong women is perfect for adults as well. In one-page descriptions, readers are introduced to the lives of 100 women who shaped history – activists, scientists, politicians, businesswomen, athletes, authors. 60 female artists beautifully illustrated the short stories for this publication which was crowdfunded. The book covers famous women such as Malala Yousafzai, Serena Williams, JK Rowling and Elizabeth I. But I really enjoyed reading about women who I haven heard of before, very often regional personalities or famous in niches, such as Polish social worker Irena Sendlerowa or ballerina Alicia Alonso. Hilarious is probably the best word to describe this book. Visually, the book reminded me of the hip business books with a lot of colourful illustrations and – very often – little content. 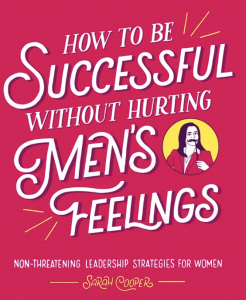 In chapters such as “How to Survive Harassment without Hurting His Career”, Sarah Cooper shares advice for female leaders who need to make sure they are not seen as pushy, aggressive or – even worse – competent. Author and comedian Sarah Cooper worked for companies like Google and Yahoo where she – according to her website – “was fed free lunches and a lot of material”. 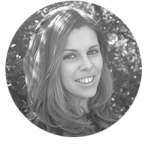 The book is a funny take on our reality as women in the workforce and uses graphic novel-like illustrations and infographics. Since the #metoo movement and the Women’s March in 2018, feminism sometimes seems on the verge of becoming a pop culture phenomenon. Brands like Dior and Chanel advertise what they interpret as feminist fashion, feminism is a topic in pop songs and the metoo-Hashtag is omnipresent – often outside of its original context. What does it mean to be a feminist at the moment? Has it become more accepted to call ourselves feminists? Why would we still be feminists? 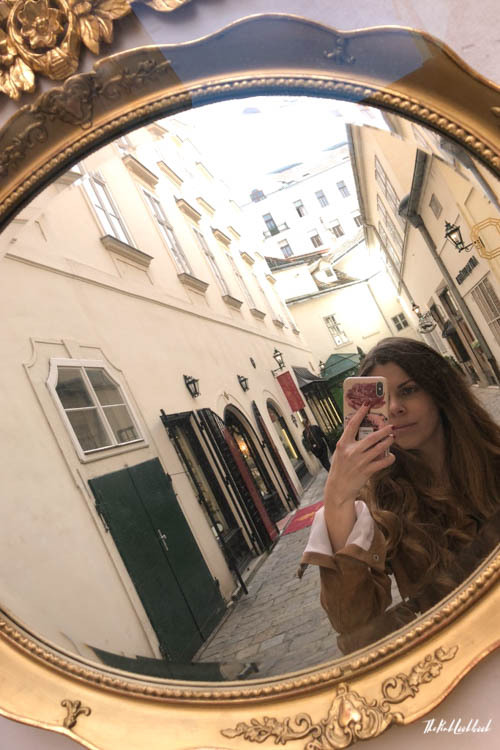 Author Hanna Herbst, a journalist who lives in Vienna, was a co-organizer of the petition for a referendum for women’s rights in 2018. Herbst shares insights into her personal development – why she became and calls herself a feminist, why she thinks we still need to fight for women’s rights and her personal experience with sexism. It was sometimes shocking to read how she is being attacked for voicing her opinion. Even though Herbst is a millennial like me, I think her book is a great read for women – and men – of all ages. Some chapters and opinions may feel exaggerated but make sense in the overall context of the book. This publication is a daring yet funny and accessible view on today’s feminism.